Steve is an experienced instructor and a genuine down to earth guy. 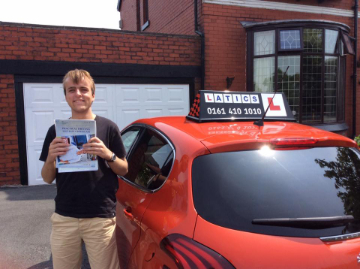 He is great at motivating his learners and is extremely encouraging so you’ll find your driving improves rapidly! You’ll really enjoy your lessons with Steve, and have some fun along the way too! Invention: Something to get my daughter out of bed in the morning! Favourite joke: I told my wife she drew her eyebrows too high… She seemed surprised. 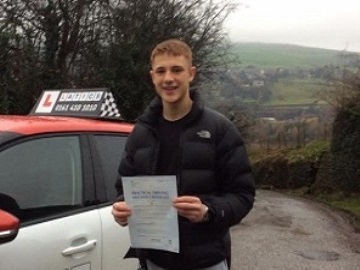 Steve gives driving lessons in Ashton-under-Lyne, Greenfield, Grasscroft, Uppermill, Delph, Diggle, Dobcross, Denshaw, Mossley, Alt, Austerlands, Bardsley, Carrbrook, Clarksfield, Salem, Derker, Dukinfield, Failsworth, Fitton Hill, Glodwick, Greenacres, Grotton, Lees, Limeside, Moorside, Mossley, Oldham Scouthead, Sholver, Springhead, Stalybridge, Waterhead and Watersheddings. 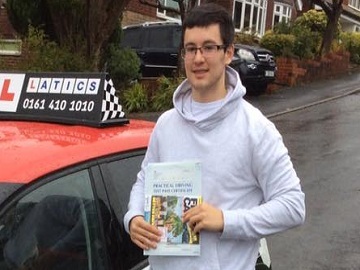 “I would like to say a massive thank you to Steve Yates for getting me through my driving test. He is so professional and takes his time to show and teach you to your best ability and challenges you throughout your lessons. As a very nervous driver, I could not have asked for a better instructor. He has taught me to the best of my ability, no matter how long it has taken. 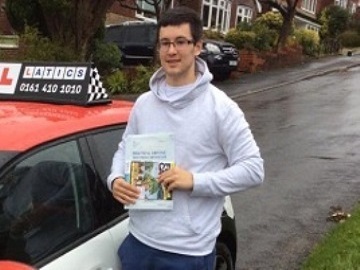 He is the most patient, friendliest and understanding driving Instructor I could ever have asked for. He has always boosted my confidence an believed in me even through my failed tests when I wanted to give up. I would not have made it without you Steve. 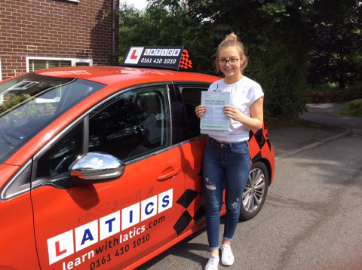 “I started taking driving lessons around March 2017, its safe to say it wasn’t something that came naturally to me. I struggled with everything from position in the road to stalling. Steve was consistently patient and reassuring, thinking of different methods and ways for me to improve. Slowly but surely things began to fall into place and became much more comfortable and confident on the road. When it came around to booking my test, I was nervous and didn’t really believe I would pass. 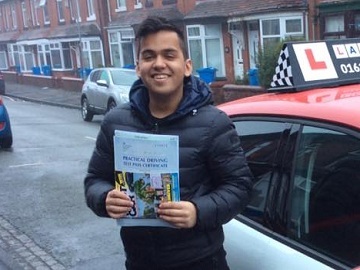 The lessons before my test were challenging but Steve was constantly supportive and reassuring that I could do it, he went over each issue and manoeuvre countless times until I had them perfected. On the day of my test I still didn’t believe I would pass so I was completely over the moon when the examiner told me I had (first time! ), and it’s definitely all thanks to Steve. Not only did he help me through each problem and struggle in my driving, he put me at ease from the very start. Even though I’m so happy to have passed my test I will genuinely miss having a laugh and a chat with Steve every week on my lesson. “I previously had lessons with another company. It was pot luck if the instructor turned up and when he did we were just doing the same thing for months so I got bored and gave up and decided driving wasn’t for me. My mum then booked me some lessons with Latics. My instructor was Steve Yates. 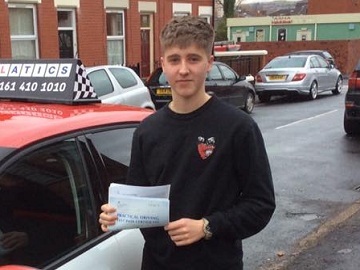 He was brilliant, boosted my confidence and actually taught me how to drive!! He made it a pleasurable experience, he was relaxed and down to earth and you could have a laugh with him. He always turned up and was always on time. I couldn’t have asked for a better instructor!! 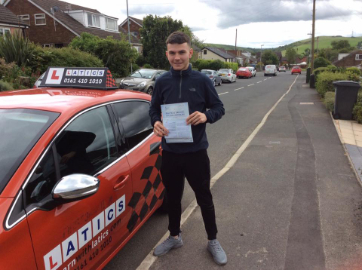 “I would like to thank Steve Yates for helping me pass my test which I thought was going to be impossible!! When I first booked with Latics I had already convinced myself I would crash on my first lesson and that would be the end of it, but Steve managed to reassure me and keep me calm and by my second lesson I had forgotten what I was ever worried about. Steve explained things clearly, never got frustrated and was always happy and enthusiastic to help me to learn. I Couldn’t have asked for a better instructor to learn to drive with. 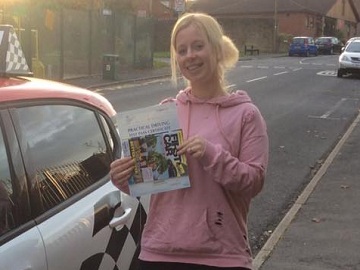 Fab 1st time pass Freya! 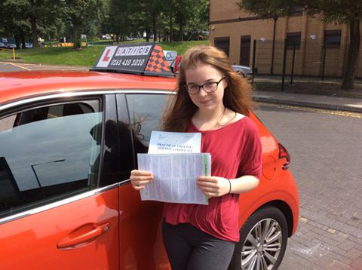 Fab 1st time pass Georgina! 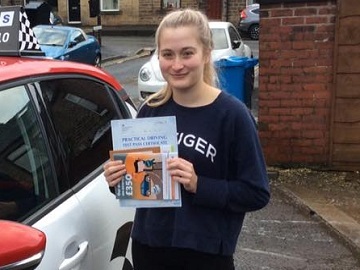 Fantastic 1st time pass Rachel!